AFC Bournemouth will be looking to build on their win at Huddersfield when they host Premier League rivals Newcastle United at Vitality Stadium on Saturday. Newcastle’s dramatic come-from-behind victory over Everton on Saturday summed up their season of two halves in 90 minutes. Trailing 2-0 at half-time and looking dead and buried, the Magpies stormed back thanks to a stirring second-half showing. The Premier League place they reclaimed after winning the Championship in 2017 appeared in doubt following a poor start to 2018/19. Just two points from their first nine games – draws at Cardiff and Crystal Palace – saw them marooned at the foot of the table, some 15 points behind sixth-placed Cherries. However, a 0-0 draw at Southampton at the end of October was followed by a hat-trick of wins as the Magpies propelled themselves to 13th after as many games. The trio of victories included a 2-1 triumph against the Cherries at St James’ Park where Salomon Rondon’s first-half double won the day for the Toon Army. Newcastle were five points ahead of the drop zone at the halfway stage of the campaign but had slipped into the bottom three by mid-January. But a resounding 3-0 win over Cardiff at St James’ Park was followed by a memorable 2-1 home victory over champions Manchester City as Rafael Benitez’s men climbed away from danger. Newcastle head to Vitality Stadium on the back of winning five games in a row on home soil but without a victory on their travels since beating Huddersfield 1-0 in December. Currently 13th, they are one place and three points behind the Cherries and have taken 16 points from their past eight games, having collected 18 from their first 22. 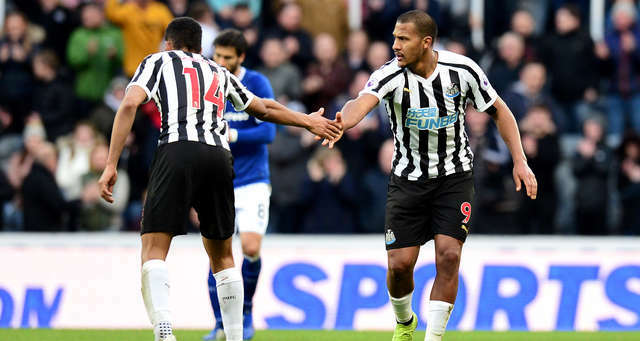 Newcastle clawed back a two-goal deficit to register a dramatic 3-2 victory over Everton in an incident-packed clash at St James’ Park on Saturday. Goals from Dominic Calvert-Lewin and Richarlison saw the Toffees forge 2-0 ahead by the break, with Jordan Pickford saving Matt Ritchie’s 31st-minute penalty. Rafael Benitez’s men had felt aggrieved at Lee Mason’s decision not to send off Pickford for a foul on Salomon Rondon which led to the spot-kick. However, the tide turned in the second half as Rondon’s fine volley and Ayoze Perez’s opportunist strike restored parity with nine minutes remaining. Perez capped an excellent individual display by bagging the winner six minutes from time, with Everton boss Marco Silva annoyed the goal was not disallowed for offside. Newcastle manager Rafael Benitez said: “We didn’t deserve to be losing 2-0 but you have to react and, at half-time, we talked about staying calm – it was really difficult to keep the players calm but they understood that that was the way. Rafael Benitez is the only manager to have won the Europa League, UEFA Super Cup, Champions League and FIFA Club World Cup. He started his coaching career at Real Madrid at the age of 26, working his way up to become assistant manager. Short spells at Real Valladolid and Osasuna proved unsuccessful before he guided Extremadura and Tenerife to promotion. Benitez was appointed coach of Valencia in 2001 and won La Liga in his first season before reclaiming the crown and the UEFA Cup in 2004. Appointed manager of Liverpool in June 2004, he won the Champions League in 2005, the FA Cup in 2006 and reached the Champions League final in 2007. He took over at Inter Milan in June 2010 and despite winning the Italian Super Cup and FIFA Club World Cup, Benitez was dismissed just six months later. He won the 2013 Europa League as interim manager of Chelsea before returning to Italy in 2013 to take the reins at Napoli where he won the Coppa Italia. Benitez spent seven months in the hotseat at Real Madrid before being unveiled as the new manager of Newcastle in March 2016, although he was unable to save them from relegation. He guided the Toon Army back to the Premier League at the first attempt and they finished 10th under his leadership last season. In beating Everton 3-2 on Saturday, Newcastle won a Premier League game from two goals down for the first time since October 2003 against Fulham under Sir Bobby Robson. 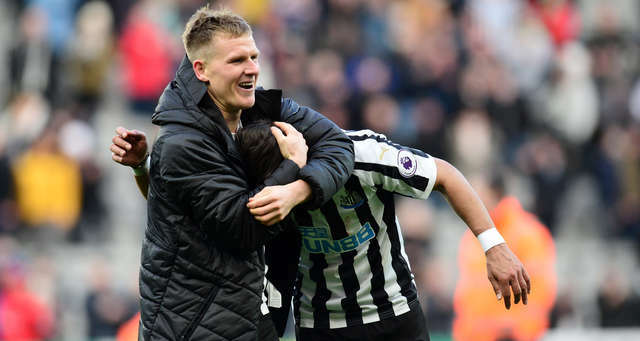 Matt Ritchie, who saw his penalty saved by Jordan Pickford against Everton, was the third Newcastle player to miss one of their past four spot-kicks after Joselu and Kenedy. Salomon Rondon has been involved in 13 Premier League goals for Newcastle this season – five more than any other player (eight goals, five assists). Only Alisson (17), Ederson (14) and Kepa (11) have kept more Premier League clean sheets this season than Newcastle’s Martin Dubravka (9). Newcastle drew 17 of their 38 Premier League games in 2003/04 – one fewer than the record which is held jointly by Manchester City (1993/94), Sheffield United (1993/94) and Southampton (1994/95).